Click the charts fore more markets data. 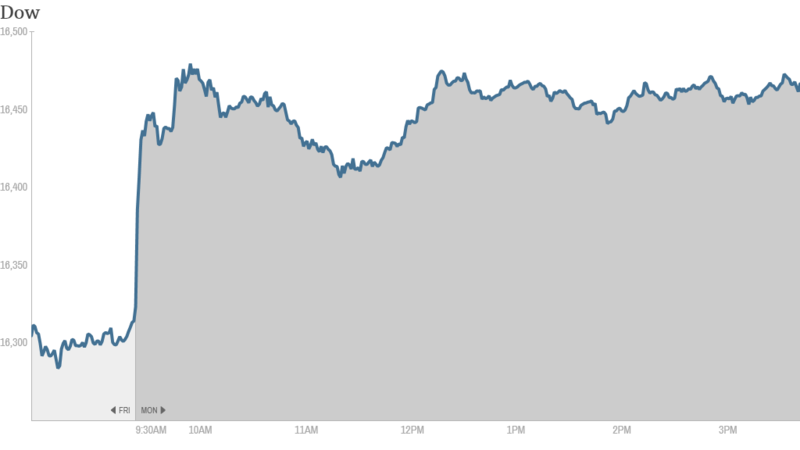 Stocks closed out a lackluster first quarter with a sprinting to the finish on Monday. The Dow rose about 135 points, while the S&P 500 is at 1872, within spitting distance of its all-time high (1883, set earlier this month). The Nasdaq jumped over 1%. Investors cheered a speech by Janet Yellen in Chicago Monday morning in which she maintained the Fed will support the economy "for some time to come." "This commitment is strong, and I believe the Fed's policies will continue to help sustain progress in the job market," she said. But it's been a choppy three months. The Dow is still in the red, while the S&P 500 is up 1.3%. The Nasdaq had been the best performing major market index for most of the first quarter, but is now up only 0.5% after a big sell-off in momentum stocks recently. And CNNMoney's new Tech 30 index is down for the year. Airlines have been among the better performing stocks so far. 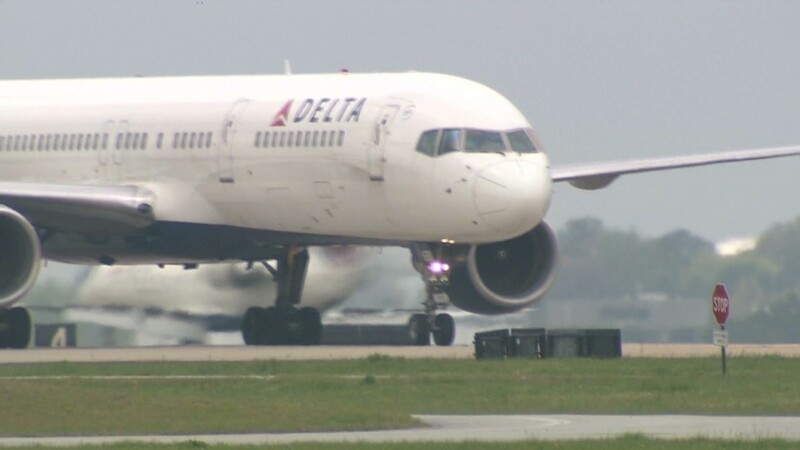 Shares of Delta Air Lines (DAL) and Southwest (LUV) are both up around 25%. Looking ahead to the second quarter, investors hope strong economic data and fading geopolitical risks in Ukraine and beyond will help stocks continue their five-year bull run. There is little economic or corporate news on the docket Monday, but investors are gearing up for a busy week which culminates with the European Central Bank meeting Thursday and the US government's jobs report on Friday. Shares of General Motors (GM) were down as investors continue to worry about the company's handling of a recall for a flawed ignition switch in several of its models. The stock is off 16% so far this year. GM CEO Mary Barra will testify before Congress on Tuesday and Wednesday about the problems, which have been blamed for at least 13 fatalities. But StockTwits trader smathan75 was optimistic about the stock's long-term prospects. "$GM...this will blow over and in a couple years it has 30-40% upside," he said. BlackBerry (BBRY) shares fell just under 4% after the struggling smartphone maker was downgraded by several analysts Monday morning. After enjoying an early boost in 2013 on hopes of new CEO John Chen's turnaround strategy, BlackBerry has tanked in recent days despite reporting a narrower-than-expected loss. But StockTwits trader LYogi didn't mind the dip. "$BBRY to those with patience and fortitude, today is a huge buying opportunity," he said. "$BBRY ultimately JC will turn this thing around....i just hope i'm not broke by then," echoed ashlarry. Shares of Disney (DIS)bounced after its movie "Frozen" became the highest grossing animated film of all time after opening big in Japan over the weekend. Google (GOOG) shares dropped modestly ahead of the tech giant's much anticipated 2-for-1 stock split later this week. Shareholders will get another share for each one they own currently. The stock split was first announced two years ago, but was held up by a legal battle in which some shareholders raised objections. "$GOOG Waiting to see what happens when $GOOGL starts trading," said StockTwits trader ims99, referring to the two separate share classes that will coexist after the split. European markets closed mixed, following lower-than-expected eurozone inflation data released Monday. The weak number is likely to revive talk that the European Central Bank could act at its meeting Thursday to boost the economy. Asian markets ended mixed. The Shanghai Composite fell as investors wait for clarity from Beijing on possible new stimulus measures. The index has lost almost 4% this year on worries over slower economic growth in China.